It's clear from the emails, phone calls and social media messages we have been getting recently that there are a fair few people out there who REALLY want to try out a Rocket275. We usually leave the demo season until late March in the hope of some nicer weather and longer days, but you clearly don't care about getting a bit wet and cold if needs be to demo a bike, so your wish is our command! The first Rocket Demo at our base in Calver will be on Saturday the 6th February 2016. We currently have a small, medium and large in the fleet, and we will build another medium or large depending on demand in time for the demo. Key thing is to get in touch if you want a ride as what you want to try will help us choose which way to go on this. Main thing is we want to get as many bums on saddles as possible! We'll be doing our usual 45-55 minute big-up-and-downer test loop which takes in our rocky suspension test track and a great sweeping descent back to Stony Middleton. They're fantastic trails and will really give you a feel for the bike. To get as many people as possible involved as possible, we're starting at 9.30, and running rides hourly until 2.30. This worked really well at the Autumn demos, and the added bonus is that with relatively short rides and quick turnarounds it's a really good chance to back-to-back different sizes, so if you'd like to try a small and the medium, for example, just asked to go out on consecutive rides on each bike. There will be more demos later in the year, and with our new demo guy coming on board soon they'll be offered around the country too, so this is just the start! 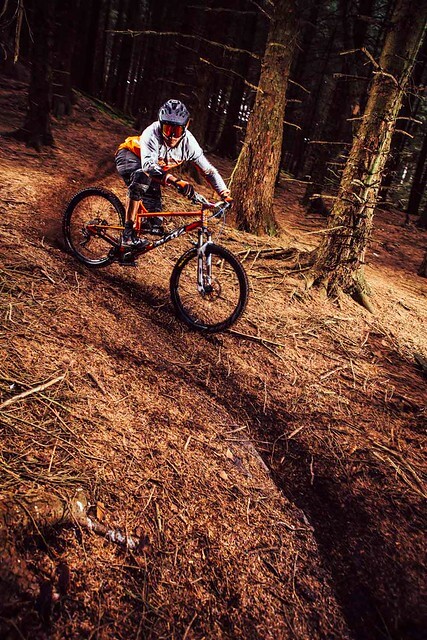 However, if you just can't wait and fancy a weekend up in the Peak riding some aces trails, get in touch.